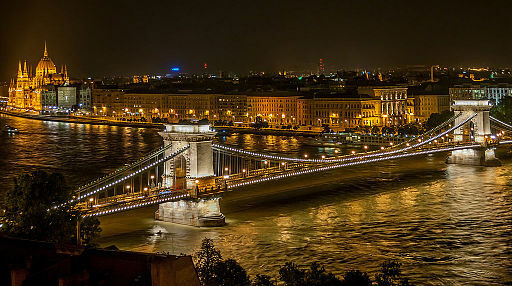 This year's conference will take place from 18 September 2017 till 20 September 2017 in Budapest, Hungary. Workshop type I: addressing a topic that is in line with one or more of the strategic priorities of CLARIN. Workshop type II: meant to prepare a work plan for a development project of up to three person months, again contributing to one or more of the strategic priorities of CLARIN. Applications should be submitted on behalf of a team of collaborating representatives from at least three countries that are members or observers of CLARIN (see overview of consortia). CLARIN encourages proponents to consider conjoining the proposed workshop with other events to use synergies, but this is not a requirement. The submission deadline for workshop proposals is 1 July 2017. Are you eager to find out more about CLARIN? Would you like to know how scholars use CLARIN corpora and tools for their research ? Are you interested in the latest features of the Virtual Language Observatory? Take a look at the recent blog CLARIN on demand, where you can find links to our latest videos. In this “library” you can find sub-collections for the major conferences that CLARIN organized or where CLARIN member prominently participated. 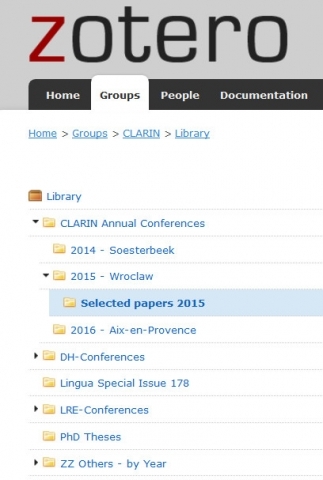 For instance, you can find there the recently published papers of the CLARIN Annual Conference 2015. Everyone is invited to make active use of this reference-database, adding new entries and correcting information in existing entries. The Portal for the Presentation of Slovene Language Resources and Tools is a library of video tutorials that present the purpose, content, and structure of various freely available digital language resources and tools for Slovene. The portal presents different corpora and concordancers, dictionary portals, libraries and collections of digitized resources, tools for language annotation, services such as language counselling, and similar. Interviews with participants of the CLARIN Annual Conference 2016 on the importance of CLARIN for scholarly research. CLARIN-PLUS Workshop "Working with Parliamentary Records"
There are many ongoing initiatives on European and national levels for compiling digital collections of parliament data, varying from creation of parliament-focused corpora to task-oriented ones. The availability of big parliamentary multimodal data in digitized form poses a number of problems, related to its proper archiving, structuring, synchronizing and visualizing. Adequate approaches are required for its focused, easy and efficient usage from various perspectives, such as political sciences, sociology, history, psychology, etc. and also from the perspective of multilinguality. This workshop aims to discover the ways in which NLP technology, developed within CLARIN, would help for curating parliament records and for answering research questions in the field of Digital Humanities. This Spring School offers courses into several widely-used techniques and tools in Digital Humanities. It will be held in three consecutive days at the Faculty of Arts at the Radboud University Nijmegen. The Spring School will be given in two parallel strands. The first strand will contain a three-day fulltime basic Python course. Python is widely used within many scientific domains and the most popular choice within eHumanities. The only way to learn programming is by doing it, therefore a large part of this course is spent on putting your new skills into practice. In the parallel strand, other topics will be taught in courses of one day or a half day. These courses will focus on advanced Python programming skills (addressing machine learning), social network analysis and visualisation, oral history and working with speech recordings, and much more. The LDK 2017 conference (endorsed by CLARIN) aims to bring together researchers from across disciplines concerned with the acquisition, curation and use of language data in the context of data science and knowledge-based applications. With the advent of the Web and digital technologies, an ever increasing amount of language data is now available across application areas and industry sectors, including social media, digital archives, company records, etc. The efficient and meaningful exploitation of this data in scientific and commercial innovation is at the core of data science research, employing NLP and machine learning methods as well as semantic technologies based on knowledge graphs.